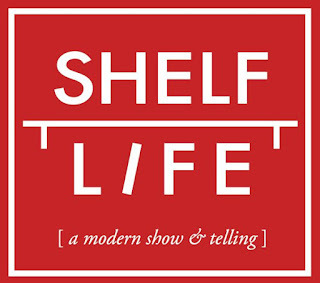 Shelf Life is a bi-monthly live storytelling event hosted by David Wayne Reed featuring an array of unique objects from the region and the stories behind them. Shelf Life is a new take on the show and tell concept that focuses on the stories of our belongings. Storytellers are curated from an open call submission and are selected to tell a story inspired by, or featuring an object within the context of the events chosen theme. "We hope this Shelf stays fully stocked." "I laughed, cried, was inspired, and went away with new definitions of courage. Shelf Life is a thoughful, erudite concept which I believe won't take long to find a much wider audience." "A wonderful evening of first rate stories!" "Adult show and tell is AWESOME!!! Great theme and the stories were first class!!!" "Inspiring - entertaining - laughter - applause and tears!" Check out archives on Soundcloud. Follow Shelf Life on Facebook.